Sunny. High 91F. Winds WSW at 15 to 25 mph. Winds could occasionally gust over 40 mph..
Kelley Matthews and Peter Lasher have more than 30 years’ experience in real estate development. They hope those who think the Bike Ranch would be beneficial voice their support for the project. We are the owner/developers of the proposed Bike Ranch which, if it is approved by the Pima County Board of Supervisors, would be Tucson’s first eco-resort devoted to cycling. We are longtime residents of Tucson’s far east side, and our goal is to make the Bike Ranch, located across from Saguaro National Park East, an example of how an environmentally sustainable development can work for the benefit of everyone. The Bike Ranch is inspired by the historic guest ranches that were an important part of Tucson’s early 20th century tourism. As a 21st century version with bicycles instead of horses, we are a natural outgrowth of the public investment that has made Tucson a top-rated cycling city and a destination for cyclists from all over. Just as Canyon Ranch was the homegrown pioneer in wellness and spa travel, we believe that Bike Ranch will be the same for cycling tourism. We are very sensitive to the unique natural qualities of the location and have laid out our campus with a consolidated footprint to preserve the most amount of natural area, to avoid washes and respect existing wildlife linkages. The site plan allocates nearly 60 percent of the property as open space, but our goal is to create as much as possible by revegetating with indigenous plants after construction. As the most energy-efficient form of transportation, bicycling is also at the forefront of sustainability. We are designing the Bike Ranch according to Platinum LEED guidelines. LEED stands for “Leadership in Energy and Environmental Design” and is regulated by the U.S. Green Building Council. The certification process encompasses everything including design, materials, construction methods and practices, operations, core services and supply chain transparency. There are currently only five Platinum LEED certified hotels in the U.S., and we hope to be the first one in Arizona. Bicycles are a healthy, non-polluting way to travel, and we believe in fully promoting their use over cars. The Bike Ranch community of employees and guests are the kind of people who would prefer to spend as much time on their bikes as they can. Our employees will be incentivized to bike commute. Our guests will explore Tucson on their bikes, visiting other areas of the city using the 131-mile urban Loop. For the times that cars are unavoidable, we will provide solar-electric powered airport shuttles and support vehicles for rides and tours. 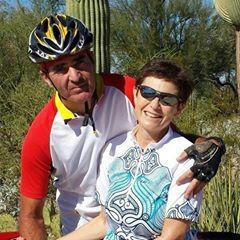 We also believe that the Bike Ranch will be a benefit to our most important neighbor, Saguaro National Park, which is already an outstanding destination for bicycling. Throughout the U.S., National Parks are encouraging biking as an environmentally sustainable, low-impact way to increase visitorship and promote healthy outdoor recreation. The Bike Ranch is in line with those objectives. Bike safety is always of paramount importance, and we will be proactively advocating for safe cycling practices in the park and everywhere else. To develop the Bike Ranch, we are applying for a Conditional Use Permit from Pima County for a minor resort, which is an allowed use in the both the suburban ranch and buffer overlay zones. It is not a rezoning. The final step in the application process is a vote at the Board of Supervisors.